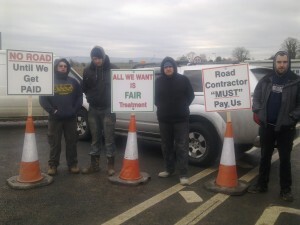 Access to the new M7/N7 motorway from Mountrath, Co. Laois to Nenagh, Co Tipperary has been blocked by a number of contractors who have been temporarily laid off by KC Civil Engineering and Cappawhite Plant Hire Ltd. 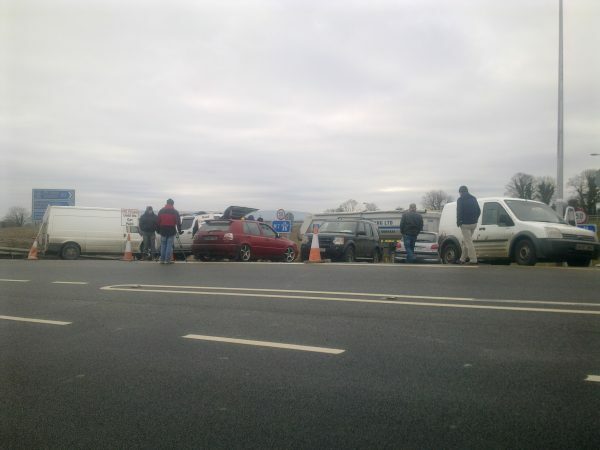 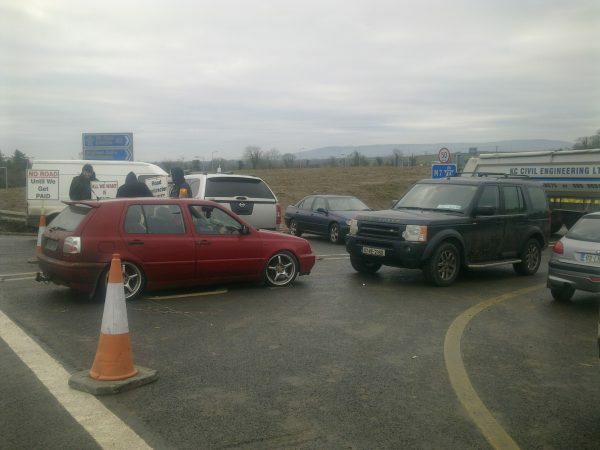 The unofficial strike is blocking access for work vehicles along the road at the Borris-in-Ossory, Roscrea, Moneygall and Nenagh interchanges. 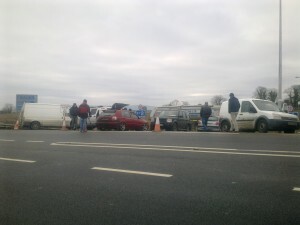 The action has been taken by the contractors due to a dispute over payment owed for work completed.